AB Dynamics has just released an upgrade for its Soft Pedestrian Target (SPT) drive system for highly repeatable, accurate and synchronised car-to-VRU testing. The upgrade consists of a specially designed platform and drive motor add-on kit, which can be quickly installed or removed depending on the test scenario. 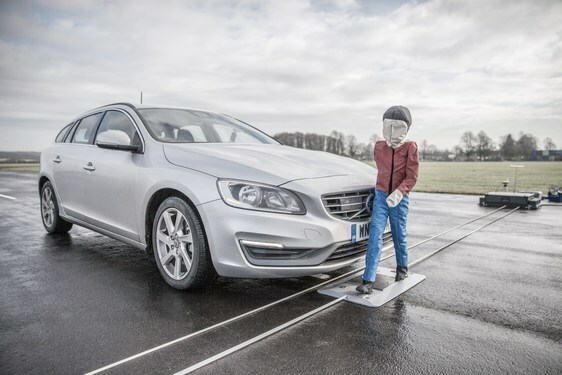 It has been developed specifically for longitudinal testing scenarios and meets the Euro NCAP 2018 VRU protocol requirement of no irregularities in the test path (6.1.2). Technical details can be found here. To reduce the preparation and post-processing time for engineers conducting the protocol, AB Dynamics has incorporated a special pre-made set of tests within RC Version 8.5 and above, offering a quick and easy solution to running the 2018 VRU specification.